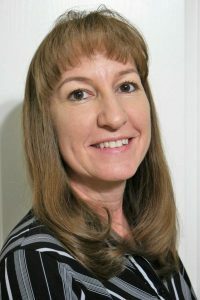 Janice M. Brandt. of Glendale, a renewable customer generation program consultant with Arizona Public Service Company (APS), found out about Duet through work. Her colleague Maria Maskell is also a Duet volunteer. She shares that she decided to volunteer for the Board because of her own experiences. Ms. Brandt is married with two children and two dogs. “I like exploring Jeep trails, spending time with family and friends and cooking new recipes,” she shares. She says that she is excited to be a part of Duet’s mission.